When children love books and reading, they do better in school and live happier lives. One of the best ways to accomplish this goal is to read aloud to infants, toddlers and preschoolers. Parents can read anything aloud to their little ones…but some books are better than others. 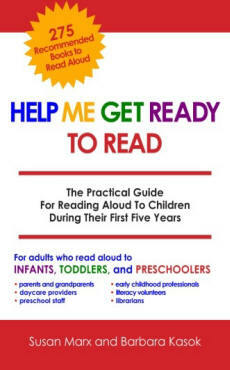 Author and educator Susan Marx wrote a practical guide for reading aloud to young children. Help Me Get Ready To Read is chockfull of great picture book suggestions and parenting tips. Susan wrote a poem that uses the titles of the stories that are recommended in her book…just in time for World Read Aloud Day. The name of the poem is Bedtime Rhyme and the titles of favorite read-aloud books for infants, toddlers, and preschoolers are shown in italics. Time for Bed in your cozy jammies or nightgown. Count along with me Ten, Nine, Eight and Off We Go! Little one you might ask Where to Sleep? For sure not with those Sheep in a Jeep. Stop your Dancing Feet, be still From Head To Toe. OH! The Runaway Bunny calls for help from Sammy and the Dinosaur. Mommies Say Shhh! to the Mother Goose on the Loose. No more coloring for Harold and the Purple Crayon. And good neigh to the horse in Silly Tilly. 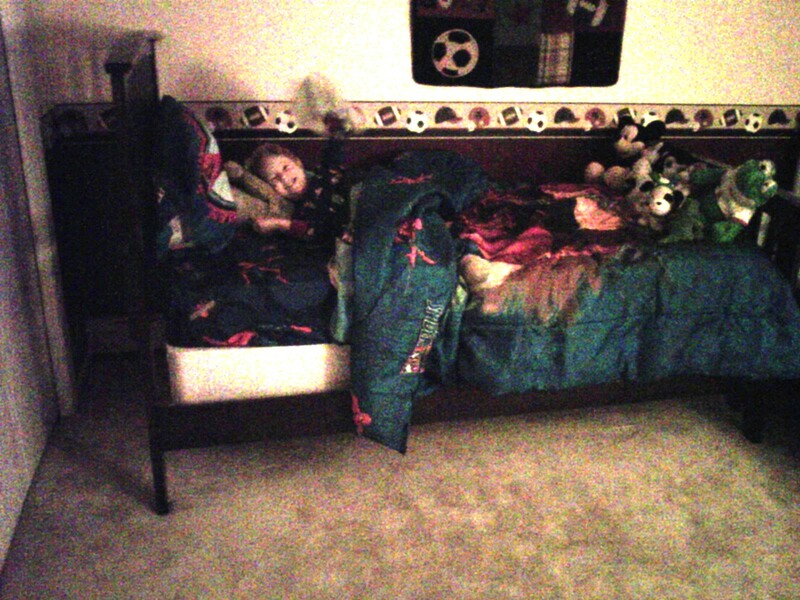 Goodnight Moon, Noisy Nora, Olivia, and Titch and Daisy. Sweet dreams to the teeny weeny Busy, Busy Mouse. That’s the time when your book buddy Millie Wants to Play! Carrying his Umbrella on a Soggy Saturday. Look up and down Brown Bear, Bear Brown, What Do You See? Close Your Eyes to find A Rainbow All Around Me. All the World will wait patiently for you all night long. Thanks so much, Susan, for sharing this with us. BEDTIME IS A WONDERFUL TIME TO READ ALOUD TO CHILDREN…BUT IT’S NOT THE ONLY TIME. WHEN DO YOU READ ALOUD TO YOUR KIDS? This entry was posted in World Read-Aloud Day and tagged Books, parenting strategies, Read aloud tips, Show Me How! Build Your Child's Self-Esteem Through Reading, Susan Marx, World Read Aloud Day by viviankirkfield. Bookmark the permalink. Great poem, with lots of good book ideas in there! Evening storytime is the best, but anytime the kids want to read books during the day and we don’t have anything more important to do, I’m always for it. You are so right, Milka…sometimes little windows of a few minutes open up…perfect for a little read-aloud! Love the poem! Always read in the evening and made bedtime a special time. Sometimes my daughter liked me to make up a story about her that I’d have to repeat over and over again. She’s an adult now and still remembers her favorite stories. My grandchildren now read aloud to us at bedtime, but the amazing thing is that I’m beginning again, this time reading aloud to my mother. At 94, dementia hasn’t stopped her from responding to hearing young children’s stories with the same smiles her great-grandchildren showed when the stories were read to them. Bedtime stories are good for all ages! Oh yes, Marylin…so true! I’d love to start a program of reading picture books and doing simple arts and crafts with nursing home residents who have dementia or Alzheimers…I think the stories would be soothing and enjoyable and perhaps evoke a memory from the past. What are your thoughts on that? And along with the simple arts and crafts and stories, if we included music and sing-along songs, it would be a wonderful adventure for them. Even now, my mother responds to songs and music much more than anything else. Those are great times to read with kids, Tracy!